You have 3004 characters. Don’t forget to add important and relevant keywords in your description to improve your iTunes app page and optimize your SEO. Your app's last version was released on August 07, 2018. It is important to regularly update your app. Best practices recommend to update your app every 4 to 6 weeks. This means fixing reported bugs, improving existing features, launching new features etc. Keep an eye on users' feedback. The next great features may already be asked by many users. New utility ICaller from KiraLine Inc is a modern search engine that you can use to very quickly find the person you want and dial his number, irrespective of how large your notebook is. Therefore, this program is particularly useful when driving and when traffic on the road is very slow. Now you just need to type two or three numbers or letters and the utility would display the list of matches, and only need to lightly touch the screen to call the person. You can search for a contact through the T9 system, which is one of the most popular among mobile phone users around the world. With the T9 system, you type a word, focusing on the keys, each of which has 4-5 letters. Thus, the typing speed increases, while the smart program picks up the word you are looking for. We all come across common names. For example, my phonebook contains 15 people answering Sergeyev, who have different surnames or belong to different aspects of my life. 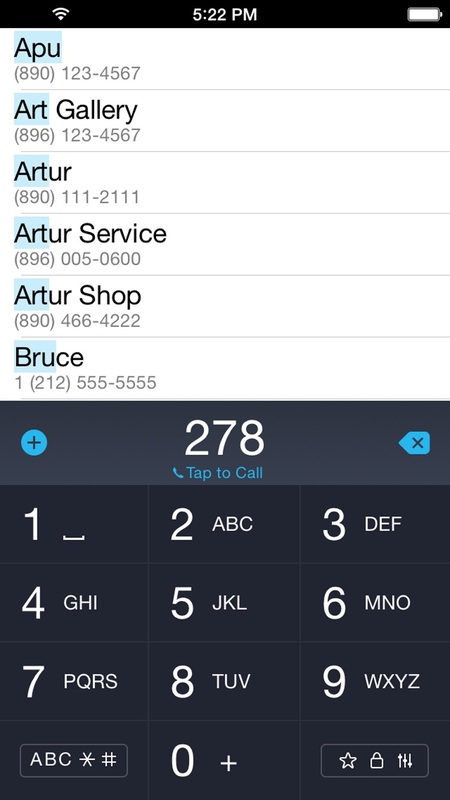 In one of the latest updates, the iCaller developers designed the search system for two words. Use the button "1" for additional filtering of contacts. Our application features maximum functionality at a time and this is of paramount importance to us. You can send SMS from the main screen by swiping your finger over the contact: swiping it in one direction sends SMS, swiping to the other direction deletes a contact from the call history. The same operation is also available from the dial string. 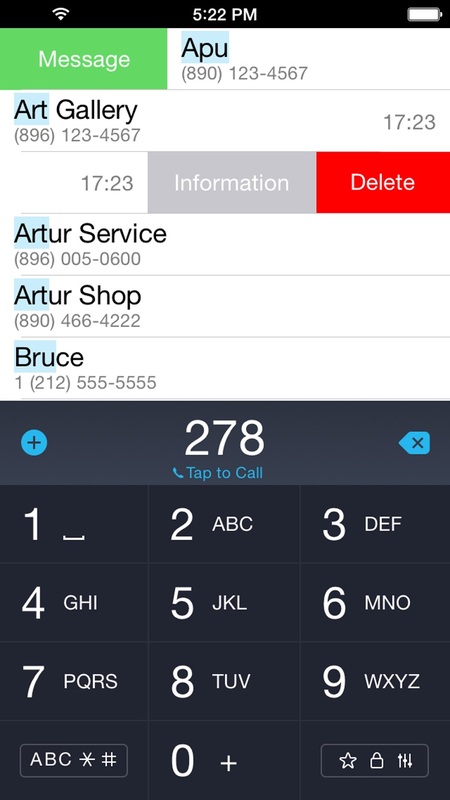 The ICaller utility is fully integrated with the phone book, in which you can add and edit contacts, and create a list of up to 50 favorite contacts for speed dialing, adding the photo of a loved one or colleague to the name. You can interchange the position of contact icons, add new ones and instantly dial a number or send an SMS message. 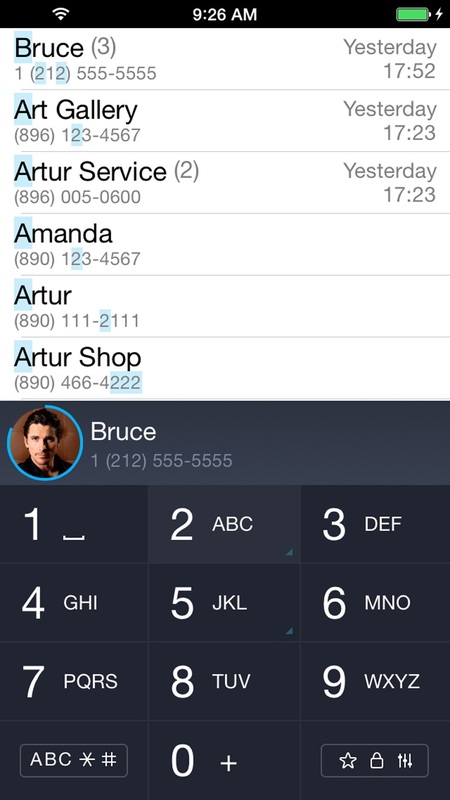 The program supports advanced options you can use to customize iCaller for yourself. Here, you can enable/disable the sound and tips, and delete call history. In the settings, you can select the priority search by name or surname. This is especially important where two-word search is possible. Screen settings would enable you select the background of the screen, choose the main contact number or display a list to choose from and select the type of image - icons with photos or name of the contact. 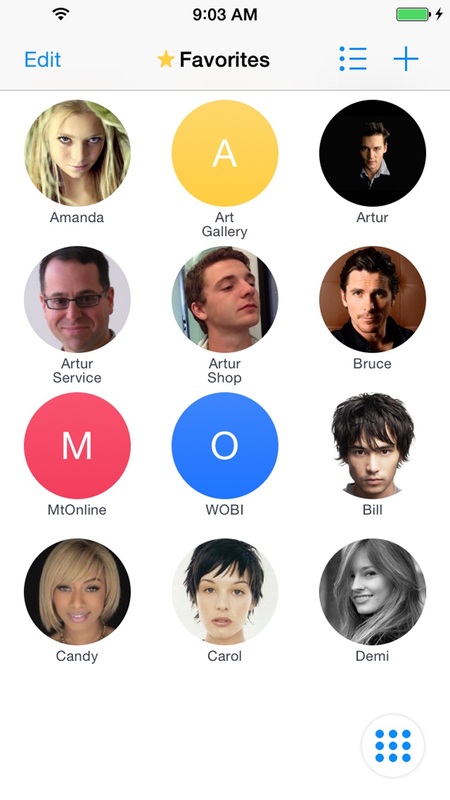 You can also select the main screen at startup - Favorites or keyboard for searching and dialing a contact. In the settings, you can choose the primary and secondary language. Note that iCaller supports 5 languages. You can search in Latin and Cyrillic alphabets. We welcome your suggestions and feedback at info@kiraline.com. Please often go to our official Facebook page for new games and applications!